Over 23,000 square feet of flexible function space, including nine event rooms, flower-strewn courtyards and terraces. 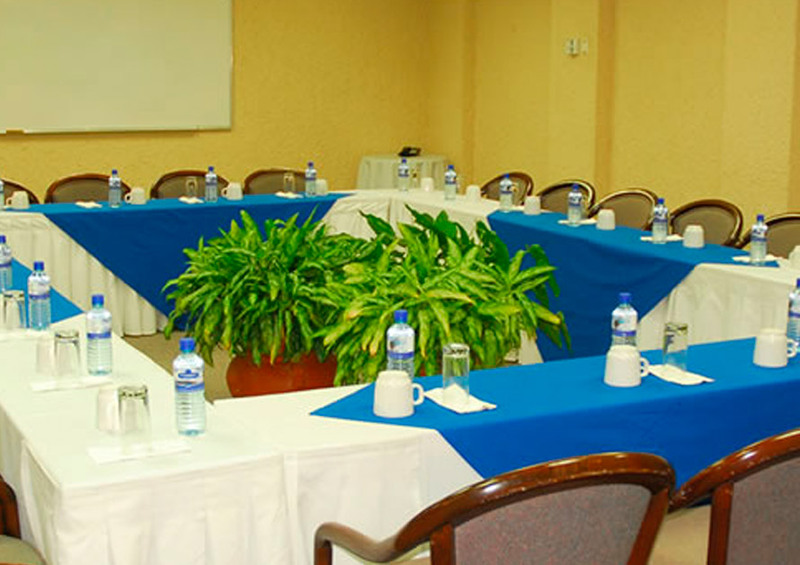 Distinctive service and professional facilities, with all the comforts of a tropical resort. 400 guest rooms, including Junior Suites, Deluxe and Boutique Rooms, overlooking the Pacific Ocean, pools and tropical gardens. Open-air, expansive terrace restaurant, overlooking sandy beach and offshore islands, serving fresh, local seafood, Mexican and International specialties. Complete recreation and fitness facilities, including a gym, five swimming pools, four jacuzzis, nearby golf and tennis, located along miles of white sand beaches on Mexico’s Gold Coast. Conveniently located along one of the largest beach fronts in Mazatlan, in the heart of the Golden Zone. We are a half-hour drive from the inter airport and just few minutes from the historic downtown district as well as dozens of attractions, shopping, bars and restaurants also clinics and hospital. 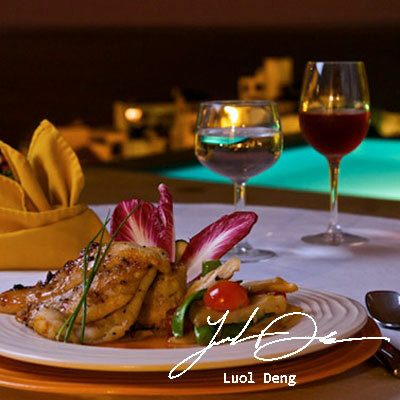 * The Chef will choose the appropriate garnish to the dish of your choice. 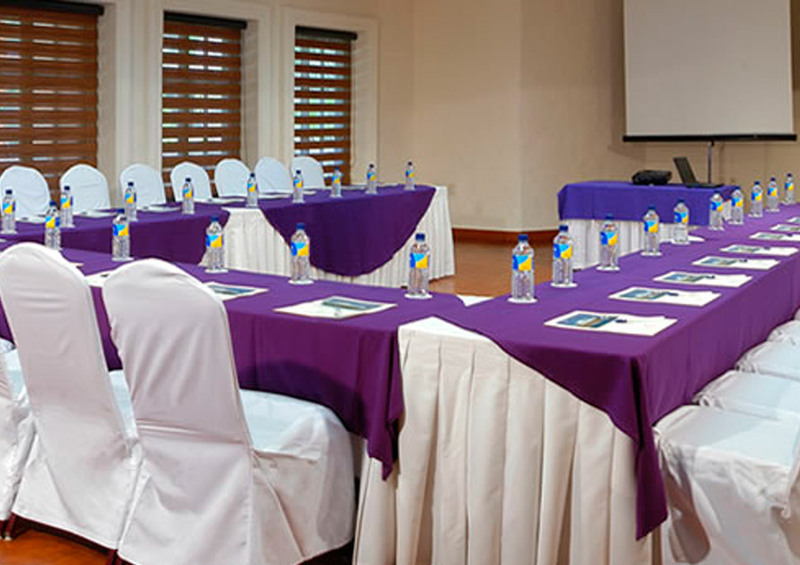 Hotel Playa Mazatlan provides a full range of equipment and services to make your meetings easier and your presentations go smoothly. 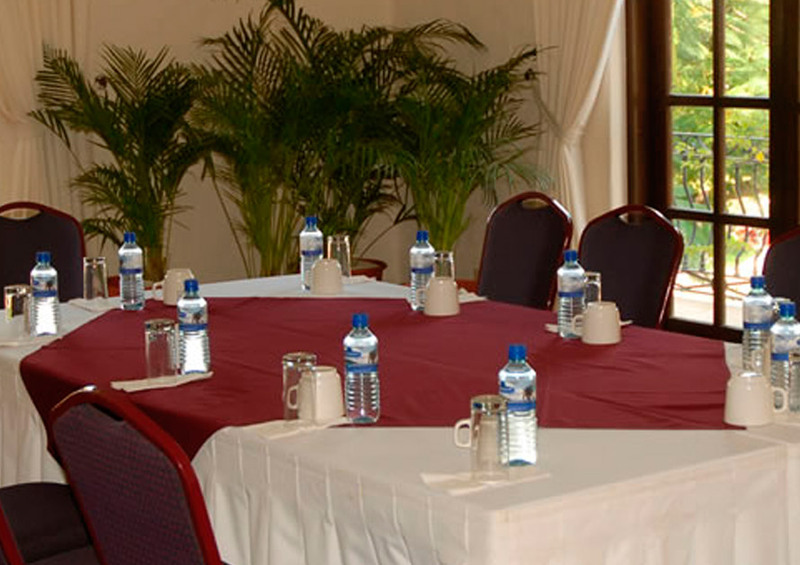 Designed with corporate requirements and special occasions in mind. 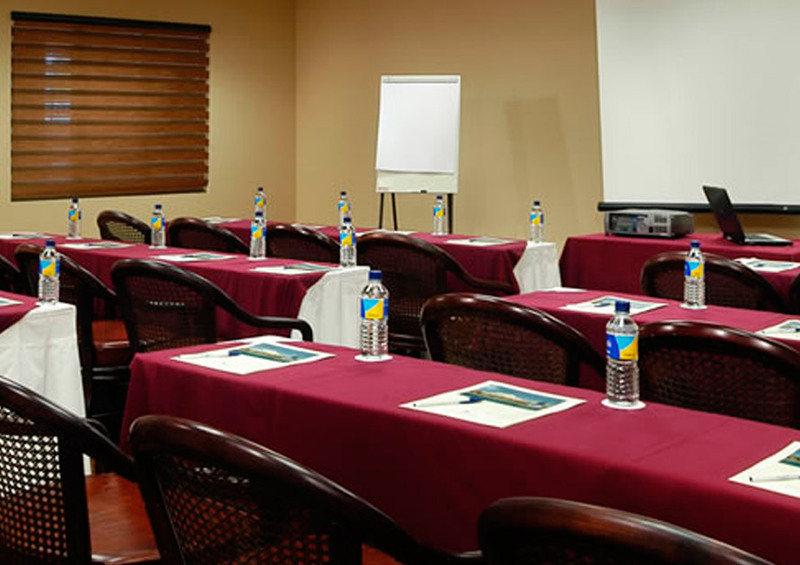 From spacious halls for conferences and receptions—to theater rooms and smaller chambers for meetings and classroom instruction, Hotel Playa Mazatlan has the event room to fit your needs. 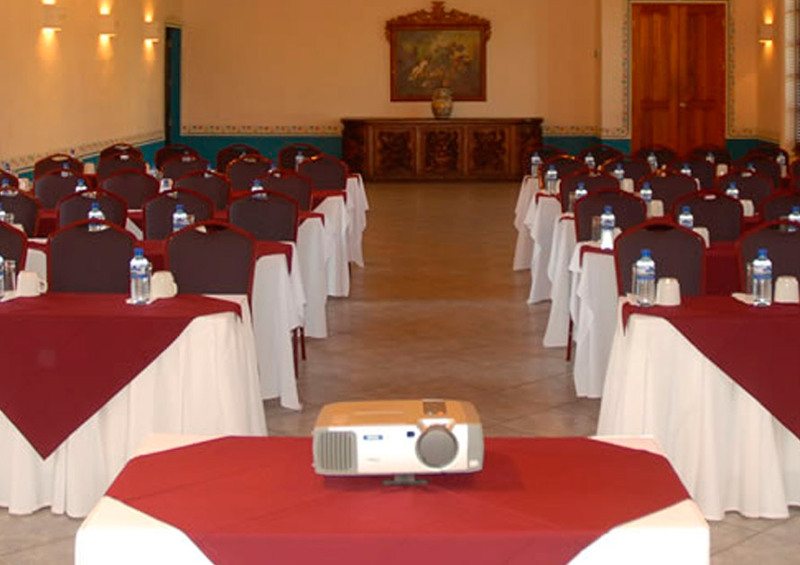 In the “Old World” Mexican style, an elegant hall designed to host conferences, banquets and receptions of up to 150. French windows with wrought-iron balconies, traditional brick and beam vaulted ceilings, rustic chandeliers, and lovely Mexican art and furnishings. Located on the first level, east wing, overlooking the main pool and gardens. 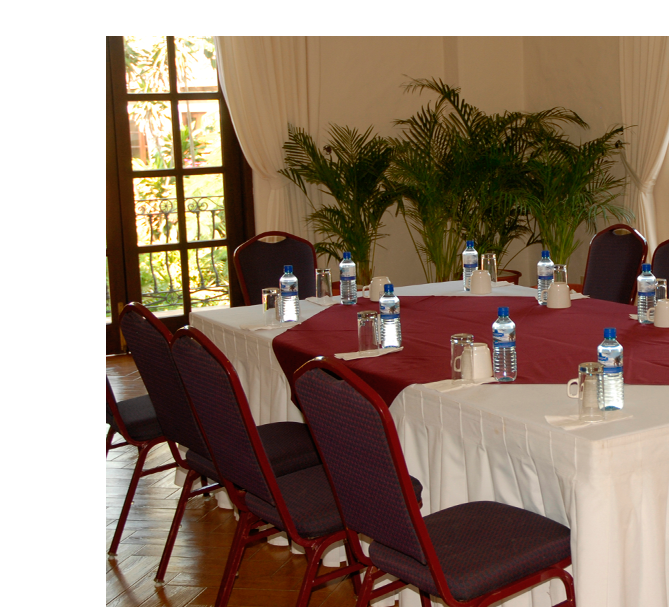 The executive choice for elegant, small-scale meetings and groups. Featuring colonial Mexican décor with classical detailing, French-paned windows, and parquet tile floors. Full-service wet bar. Located on the 2nd level, central wing, overlooking the main pool and tropical gardens. Reflecting Mexico’s opulent, 19th-century haciendas, our 1,850 sq. 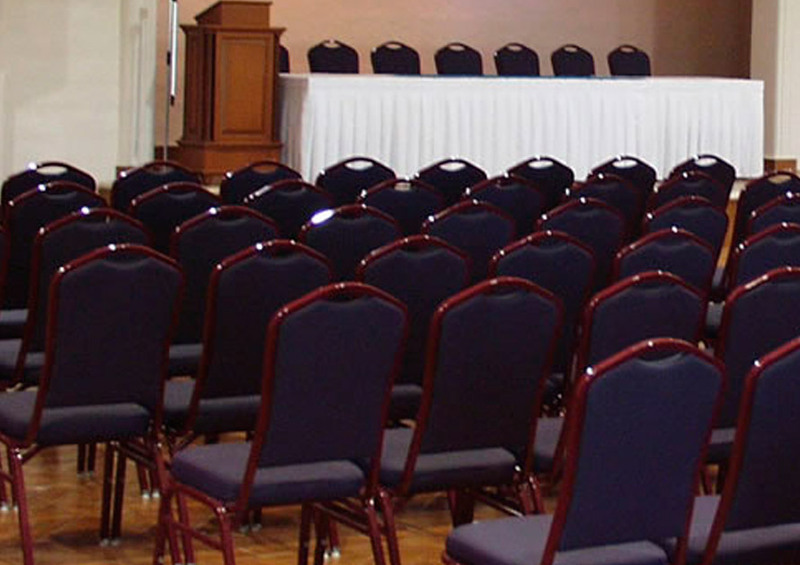 foot hall is a perfect venue for receptions, galas, small conventions, and banquets. A baroque colonial ambiance, with French-styled windows, petite balconies and an expansive, open-air terraza. Attached commercial kitchen, bar, restrooms. High intensity, direct lighting, audiovisual system. Located in the south wing, adjacent to Gaviotas, above the gift shop promenade. An elegant room with sweeping ocean views. Our palatial, 6,200 sq. ft. hall, reminiscent of resplendent “Mexican European” interiors—an unforgettable setting for large-scale conventions, performances, and receptions. Designed in rich colonial Mazatlán tradition with parquet ballroom floors, chandeliers, crown molding, and stately French windows with wrought-iron balconies—all overlooking the gardens, pools, and fountain. Raised performance stage, high intensity, direct lighting and audiovisual system. Open-air terraced foyer, two main entrances, and elevator. Attached commercial kitchen, full bar, restrooms. Located in the south wing, above the gift shop promenade. 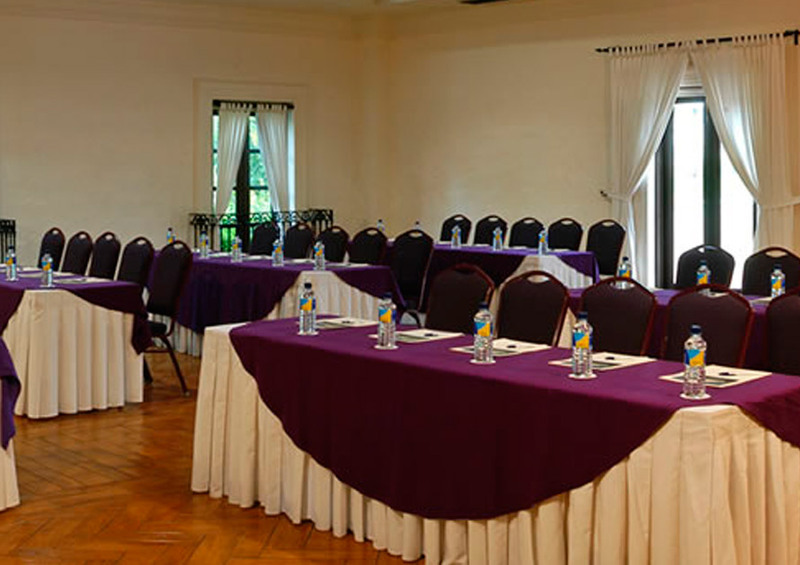 An elegant room with sweeping ocean views, especially suited for meetings, classes, and theater viewing. Electronic curtains seal out all light for optimal video screening. Spanish-Colonial décor, terracotta tile floors, wrought iron balcony, overlooking the beach and offshore islands. Restrooms. Located on the 2nd level, central wing, facing the beach. 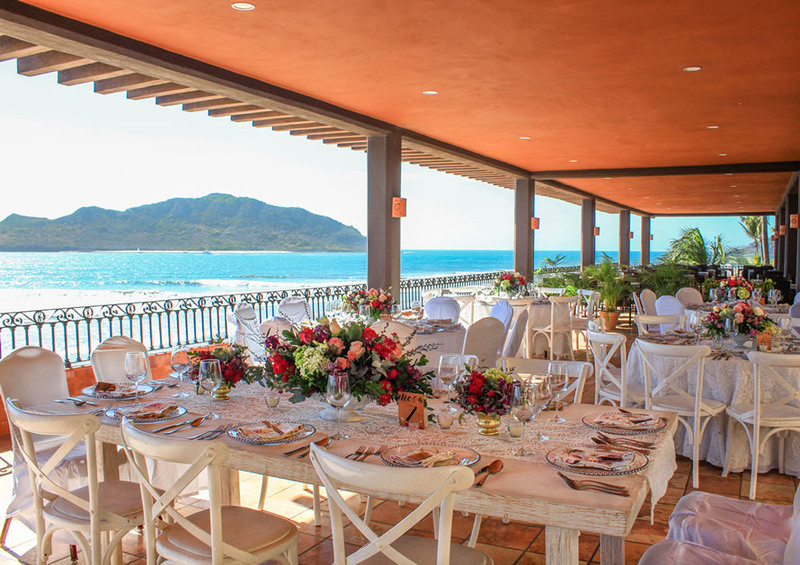 Our panoramic reception hall with 180° views of the Pacific ocean, overlooking Gaviotas beach and offshore islands. Ideal for weddings and special events with live music or deejay. Attached commercial kitchen, full bar, restrooms. Located on the second level, central wing, facing the beach. Perfect for small groups and meetings. Perfect for small groups and meetings. A classroom atmosphere equipped with overhead projector for video screening, dry board, and beverage bar. Located on the second level, central wing with pool and garden views. A larger, “split-room” version of Ulysses I, with both classroom area and interior foyer. Also with overhead projector, dry board, and beverage bar. Located on the second level, central wing, pool and garden views. Hotel Playa Mazatlan offers discounts of up to 40% off for your wedding or banquet group, depending on group size and season. Contact us for a tour to the locations, availability and prices.